We perform professional videography and can film using a variety of different video camera systems and aerial platforms. We can film in SD 720, HD at 1080p, 1080i, 2K (2048 x 1080), 4K (4096 x 2160), 6K (5760 x 3700), and even 8K. And in ratios such as 16:9, 17:9, 4:3, and using project bases and frame rates of 24p, 29.97p, 30p, 59.94p, and 60i. 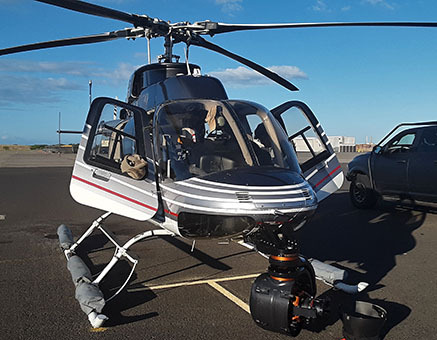 We have a professional gyro stabilizer systems that we can adapt to our high-end cameras, a proven addition to enhance stability for aerial and air-to-air shoots. We can film in a great variety of formats and can meet just about any requirements our clients may require. In addition to providing videography, we also have professional video editing software and editing services available and can produce professional-grade DVD and CD projects, and we can serve as the Art Director for your project. Using a top-of-the-line aerial Cineflex V14 and Shotover F1/K1 systems, we can film rock-solid video, rich in colors, the same quality as you see in TV and movies. 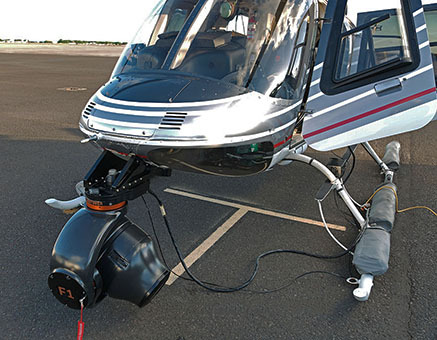 We can perform these kind of high-end shoots from either fixed-wing or rotary-winged aircraft depending on your needs, recording a backup simultaneously. 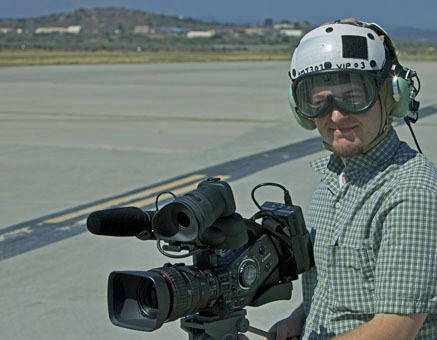 Our specialty is air-to-air filming of other aircraft, and we serve as a Coordinator and Director of Photography, keeping the emphasis on safety and our camera operator focused on getting the client the best possible end product. We now can also perform aerial and air-to-air shoots using cameras such as the Sony F55, 4K/6K Red Dragon Cineflex Ultra, Red Epic/Weapon/Helium, etc... Another specialty is we can perform combination Videography and Still Photography (50 mp) wrapped into a single shoot. We have numerous HD B-roll stock footage of a great variety of various aircraft types, just contact us and let us know. This is an example of a fun/reality-style video we produced with various editing enhancements. The original was filmed using a helmet cam only, in HD 1080 and the resolution was reduced to allow for a manageable file size download. All photographs and videos are © Copyright Fotodynamics - see home page for further details.